We have previously discussed about basics of server Virtualization Technology in an previous article. ?The reduction in hardware prices and the presence of open source software making this technology increasingly affordable and if it is properly used, it can offer us more choices of operating systems ,while lowering the costs and bringing a greater control over our infrastructure. The major need to deploy the technology is dependent on type of processor (Tips : Read this post on the capable processors.) – the deployment of Virtualization is dependent on processor core – deployment differs from x86 and x64 processor. 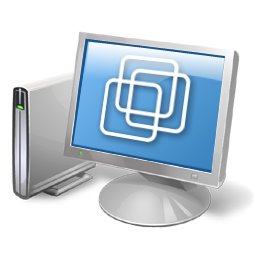 ?A hypervisor or Virtual Machine Monitor (VMM) is a virtualization software , which provides an environment for virtual machines created. Quite obviously, in order to manage the whole system, a specialized software is needed. The most common used application of Virtualization technology?is in the field of hosting – Virtual Private Server or Virtual Dedicated Server. As one physical dedicated server is split in to virtually existing 3-4 dedicated servers, the cost – both the one time investment and running costs are reduced, which translates to reduced cost of web hosting. Although web hosting appears to be the most important practical usage of Virtualization, there are various other usage of Virtualization technology and most importantly, Cloud Computing is nothing but a product of Virtualization technology. This technology makes one physical computer to behave as if like multiple computers. Among the various advantages, the technology reduces both the short and long term costs. It helps to avoid the under usage of resources. Desktop virtualization, Virtual Private Server / Virtual Dedicated Server, Database Virtualization and Storage virtualization, Cloud Computing are either direct or indirect benefits of the technology. This Article Has Been Shared 8913 Times! Virtualization Capable Processors are needed to run UNIX based Virtualization. Without proper Processor support, the guest Operating systems either will not work or perform sub-optimally. Cite this article as: Abhishek Ghosh, "Virtualization : How Virtualization Works and What it Does," in The Customize Windows, January 15, 2012, April 20, 2019, https://thecustomizewindows.com/2012/01/virtualization-how-virtualization-works-and-what-it-does/.